The Downy Woodpecker is the smallest of our woodpeckers. About 6-7 inches long and about 2 inches shorter than the look-alike Hairy woodpecker. A white back and white underparts and black wings that have white spots. The Downy has a black-and-white-streaked face. The males have red on the nape whereas the females do not have any red. 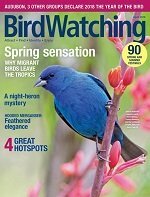 You'll find these birds in open woodlands, orchards, parks, and backyards. What these birds feed on in the wild is insects, especially wood-boring insects. They also eat berries and seeds. 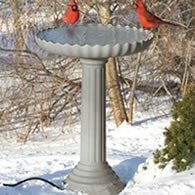 If you have them in your area you'll see them eating at your feeders. You can get pretty close to these birds while they're eating as they seem to be a bit brave. 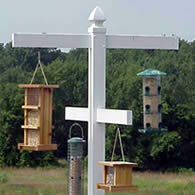 You can attract these birds to your bird feeding station if you provide suet for them. 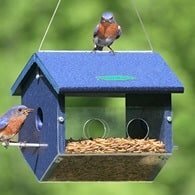 By adding a suet feeder, you'll be able to get a close up view of these birds. 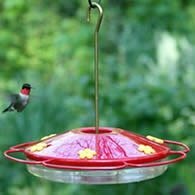 Additionally, you'll get other bird visitors such as, Nuthatches, Chickadees, Flickers and more. During the breeding season (peak times- April May) these birds will drum on trees, post, and other objects. Drumming is a loud, continuous, rapid pecking, on resonant surfaces such as dead tree stubs. This is done to announce territory and to attract a mate during breeding season. Downy Woodpeckers excavate their nest cavity in dead wood about 5-50 feet above ground. Although it sometimes uses man-made bird houses most times it prefers to nest in trees. The female lays 4-5 white eggs which are incubated by both male and female for about 12 days. The young will leave the nest about 28-30 days after hatching. In southern states they may raise 2 broods each season.